Writing plot twists is much harder than it looks. As readers, we're used to devouring mind-blowing twists and turns, marvelling at the cleverness of the writers who devised them. But as writers behind the scenes, it's difficult to dream up new and innovative ways of subverting readers' expectations. If you want to write stories that surprise and intrigue your audience, we've got 10 simple tips to help you master the art of the plot twist. This may seem obvious, but it's one of the most important steps you can take towards writing effective plot twists. When you're plotting and planning your novel, constantly put yourself in the reader's shoes. Imagine how you might react to this particular story. In which direction would you automatically expect the story to go? What potential twists and turns immediately come to mind? Note all these down, and then discard every one of them as a potential plot twist. If you think there's even the slightest chance that a reader can foresee a plot twist, they probably can. Most readers' minds work in similar ways – especially genre readers, who are used to the conventions and standards of their genre. Any narrative turns you immediately think of will most likely be thought of by your readers, too. To combat predictability in your plot, try thinking about the complete opposite of every twist or turn you've noted down above. If your narrative naturally begins to lean towards a certain outcome or event, try steering it in the complete opposite direction and see what happens. When you eventually think of something that takes even you by surprise, you'll know you're on the right track for a successful plot twist. You may have heard that misdirection is the magician's greatest tool, but it's also extremely handy for writers. Guiding readers' attention gently away from a potential plot direction will make it all the more surprising when you reveal the twist. Your aim should be to make them think they know what's going on, then subvert that notion entirely. Red herrings – planting false clues or pieces of information designed to steer readers in the wrong direction. Dead ends – firmly dispelling outcomes your readers (and characters) thought they saw coming. Misguided attention – carefully burying real hints or clues in scenes where the reader won't be paying close attention to them; for example, in a fight scene, where the reader is too caught up in the fast-paced action to think too hard about a cleverly dropped hint. Note: You'll notice that we used the word 'subtle' above – remember that. If you try too hard to steer readers in the wrong direction, they'll notice. And if they pick up on what you're doing, they'll either recognise the misdirection for what it is, or assume you're trying to 'hold their hand' and guide them far too obviously towards a certain outcome. You don't want any of that to happen. Your readers want to feel respected by you as the writer, not babied or cheated. The key is to guide your audience into believing something so easily and naturally, they'll swear they thought of it themselves – and that's when you can plant a plot twist and really shake things up! Foreshadowing is a vital element that precedes any good plot twist. It involves planting extremely subtle clues that hint at the twist to come. Again, when we say 'subtle' here, we mean subtle. So subtle that these hints may not even be noticed by readers the first time around, but looking back, will make perfect sense. Foreshadowing’s great strength lies in its ability to create a cohesive and plausible story. If readers understand that it’s possible that someone in your story may be murdered, they won’t be completely shocked when the sidekick gets axed down the road. If, however, you failed to properly foreshadow this unhappy event, readers would be jarred ... They would think you had, in essence, lied to them so you could trick them with this big shocker." There's a fine line to tread when it comes to foreshadowing. You need to strike a balance between giving enough detail to make the twist believable and plausible, and keeping enough hidden so that the twist comes as a surprise. If you're struggling to add subtle and effective foreshadowing as you write, try leaving it out of your first draft. Then come back to weave it in when you revise your manuscript. This way you'll have a clearer view of the big picture, and you can ensure any hints you drop are subtle and properly fulfilled. As with every aspect of writing, it's possible to overthink things when it comes to plot twists. Sometimes, trying too hard to create clever twists can leave you frustrated and stuck, or make your writing feel inauthentic. When this happens, try taking a step back. Stop trying to consciously create twists and turns, and allow the characters to guide the story instead. One method you may want to try is freewriting. This involves letting go of your thoughts and inhibitions and simply letting the words flow forth freely. 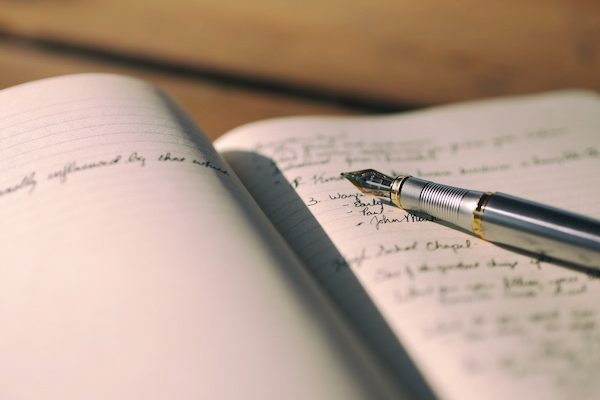 With freewriting, you never stop to think too hard about what you're writing; instead, you write continuously for a set period of time or number of pages, allowing whatever is in your mind to escape onto the page. Try this exercise with your characters. Write a conversation or scenario as freely as you can and see where your characters take you. Freewriting like this can help to take your story in directions you never expected. And if it's unexpected for the writer, it will be even more of a surprise for the reader! While plot twists, by definition, are sudden, unexpected and even shocking changes of direction, they must still be realistic and sensible. No matter how unpredictable it might be, a plot twist that's outlandish or doesn't make sense is not effective. Readers won't be impressed – in fact, they'll probably just roll their eyes, and may even stop reading in frustration. Don't resort to gimmicks, and never introduce a plot twist just for the sake of including one. It must always serve to further the story in some way – preferably a way that readers find believable, and a way that fits naturally within the narrative. Readers want their emotional investment to pay off. The twist should never occur in a way that makes them feel tricked, deceived, or insulted. Great twists always deepen, never cheapen, readers’ investment in the story." This one sounds a little complicated, but bear with us. 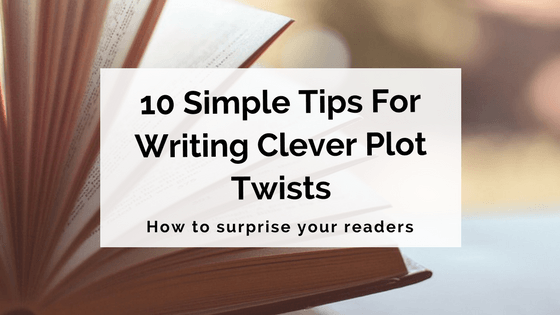 This method involves delivering a plot twist, which readers will think is THE plot twist – and then following it up with an even bigger twist. Readers won't expect another radical reveal so soon after the initial twist. They'll probably still be reeling from the first turn of events, so will be doubly surprised when the plot changes direction yet again. To make this method work, the first plot twist must be unexpected, but not too big, shocking or dramatic. It should be just enough to surprise the reader before you really blow their mind with that second reveal. The initial problem ... is something of a stalking horse – it’s a bit of magical misdirection that the protagonist and the readers fall for while the real problem waits in the shadows to be exposed." Readers are used to subplots in novels. They sit nicely alongside the main plot, providing interest, diversion, conflict and character development, among other things. This makes them the perfect vessel for plot twists! Cleverly composed subplots can lead towards twists that readers never see coming. The subplot may interact/intertwine with the main plot in an unexpected or unusual way. The subplot may be much more important to the overall story than it initially appears to be. The subplot may distract from what's really going on in the main plot, meaning you can drop a twist in the main plot that will take readers completely by surprise. Here's something to remember when writing fiction: things don't always have to end well. Not every story has to go the expected 'happy ending' route. Not every character has to survive and thrive. Your protagonist doesn't always have to save the day and succeed in achieving their goals. In fact, taking the opposite route can allow you to subvert readers' expectations and create a more interesting, realistic and engaging story. Perhaps the biggest proponent of this method is good old George R. R. Martin of A Song of Ice and Fire/Game of Thrones fame. Who could forget that moment in the first book/season where ***SPOILER ALERT*** our main character and hero, Ned Stark, is suddenly relieved of his head? This particular character death makes an extremely effective twist for a number of reasons. First of all, readers aren't expecting someone who is, for all intents and purposes, the story's main character, to be killed off almost immediately! It's also a darkly realistic event; there are no miraculous get-out-of-jail-free cards to be had in Westeros, despite it being a fantasy world. And finally – perhaps most importantly – this unexpected death sets in motion a chain of events that takes the story to a whole new level. Now, we know GRRM is the master of the 'no-one is safe' mentality. But if you're going to adopt this mindset yourself, you must tread cautiously and carefully. The main thing to remember is not to go killing off characters every which way just for shock value. Remember how we advised against resorting to gimmicky twists? Well, killing everybody just for dramatic effect falls firmly under the 'gimmick' category! Readers will feel cheated if they feel you're simply toying with their emotions. And besides – the shock (and enjoyment) factor definitely starts to wear off if every character suddenly starts dropping dead for no real reason. It's not enough to create a great build-up to a fascinating plot twist. What comes after the twist is just as important. There's no point putting all your effort into making a plot twist work, and then dropping the ball with the remaining narrative. If anything, your plot twist should ramp up the action/tension/intrigue, not act as a high point followed by a lull. One of the main points of a plot twist is that it entices your audience to keep reading, desperate to find out what happens next. Don't disappoint them by letting the momentum slow down too much after the twist. Of course, some plot twists may be revealed right at the end of a book, but even then, there is generally some follow-up. Wherever your plot twists are located, they must be preceded and followed by narrative that's consistently solid and engaging. Remember in our first tip how we asked you to step into the reader's shoes? Well, now it's time to test your plot twists on some actual readers. The best way to do this is by giving your novel to beta readers. If you're unfamiliar with the beta reader process, check out our Ultimate Guide detailing how to work with beta readers, but basically, this is kind of like screening a film for a test audience. Your beta readers will provide feedback on your manuscript from a reader's perspective. This feedback will be really handy when you're trying to determine whether your plot twists are successful in surprising and intriguing your audience. Make sure you ask your beta readers specifically whether the plot twists were effective, and if not, what didn't work for them. Ask whether they saw the twists coming, whether there was sufficient and effective foreshadowing, and whether the twists were plausible as well as surprising. However, don't mention any of this to your readers until after they've read the book. If you talk about it beforehand, they'll probably be actively keeping an eye out for twists, which means they won't be able to react to them the same way a 'normal' reader would. Great tips Claire. It’s a good thing for all writers to keep going over all those tips and tricks that work to make a great read. Thanks, Kevin – totally agree with you there! A great example of this is within the last book in the First Law triology. All throughout the books the goals and stakes are very personal, and our characters face many different challenges. It isn’t before the later half of the third book we get to know how these events are all connected in a big political plot. Some of these events are orchestrated, and some happen to fit the grand scheme, but none of it is expected. There are plenty of hints riddled through the triology. Many of them are very off-hand, and the rest may misdirect you slightly. The main plot is quite clearly spelled out from the get-go, but the means to achieve the goals is the true twist. After the big reveal many things make much more sense in hindsight. Great guide, by the way! I’m just starting out in earnest, and will make sure to apply these tips to my story. As you say, the plot twist is a path to achieve a certain plot point/alter status quo. It isn’t an end in and of itself. I will try to put lots of time into structure this time around. Thanks! I haven’t read the First Law trilogy, but it’s definitely higher up on my to-read list now! Sounds like it’s a prime example of well-executed plot twists! Glad you found this guide helpful – between it and Joe Abercrombie’s works, hopefully you have all the inspiration you need to weave some twists and turns into the story. 🙂 All the best with your writing. How do I deal with readers who have guessed one of your plot twists before the big reveal? writing the whole story before wont work for me as i am locked into writing and publishing in a chapter by chapter format. I have other ideas, but I fear if I change the reveal to something totally different like a red herring it will dissatisfy my readers. Many thanks for your useful tips. I’m now in the process of revising my children’s book. I recently watched the Lego Movie 2. It follows almost all of the rules. The plot twist is so unexpected, yet it’s makes complete sense. All the clues are there, hidden in plain sight and so subtle you don’t notice them until after the Twist. It involves 2 subplots and I believe it may be a twist-within a twist. It increases the tension and isn’t there just for the sake of being there. It has a purpose for being there. The Lego Movie 2 is officially my favorite movie. I can’t wait to watch it again! If you haven’t yet, Claire, you should plan upon watching the Lego Movie 2. That movie is the only movie I’ve seen that really does a great job on this sorta stuff. I don’t want to spoil it too much…. but the twist was completey unexpected yet made sense in hindsight (How did I miss that!) Doesn’t hurt that the tension increased after the twist, a nd the movie was engaging throughout.